The lawn around your house can be a beautiful asset, but every lawn owner knows that the grass needs constant attention and even if you mow it, water it and treat it the way you should, it can quickly turn brown and dry – if you have been wondering what you can do to solve the problem, here are our top tips about how to get rid of brown patches on your lawn. The most common cause of the brown patches that affect lawns is the infestation with a fungus called Rhizoctonia. The fungus is not very picky, but very quick and hardy – it affects a large variety of grass species, it can appear suddenly and it spreads seemingly unstoppably. What the fungus needs for being able to thrive is high temperature, the presence of high humidity and high amounts of nitrogen – in other words, it needs summertime, when lawns are watered and fertilised regularly. The disease gets into the blades of grass through the wounds caused by mowing, so unfortunately, well-cared for lawns are at a higher risk of developing brown patches. Establish a watering schedule – too frequent and superficial watering increases the lawn’s level of humidity, but leaves the deeper layers of the soil dry, creating favourable conditions for the fungus. Water the lawn only every 3-4 days and make sure the deeper layers of the soil become wet, too. Early morning, between 5AM and 9AM, when the air is not very hot yet, is the best time for watering your lawn because it gives the grass sufficient time to absorb the water (watering in the evening leads to the accumulation of too much water in the soil because the air at night is more humid). Mowing to proper height – cutting the lawn to a height that allows the free movement of air between the blades stops the fungi from spreading by removing the moisture that the disease needs to thrive. Proper thatching – make sure that the layer of thatch on your lawn is not too thick. Thick thatch prevents the air from penetrating the soil, thus providing favorable circumstances for fungi to appear and to proliferate. Proper fertilization – the fungus needs nitrogen to thrive, so applying too much fertilizer can promote the spreading of the disease. There is one more thing you can do to prevent the appearance of brown patches in the future: use the right type of turf. 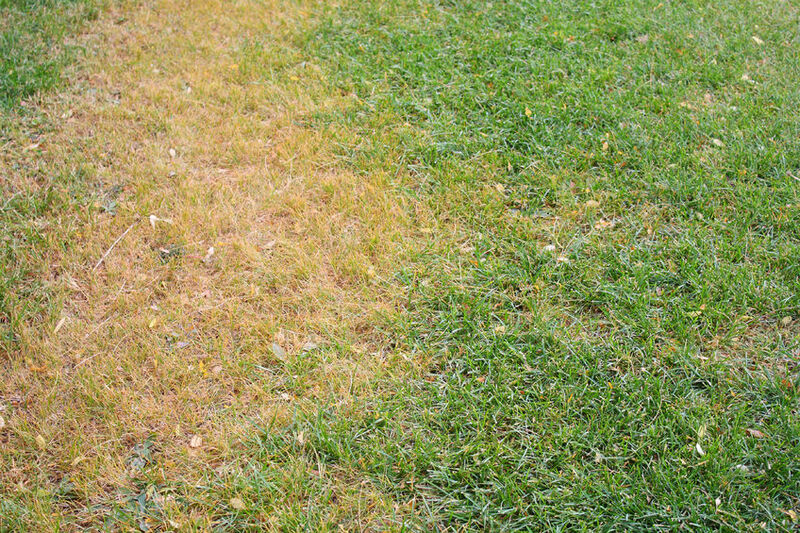 Brown patch disease is known to affect most types of lawn, but some varieties are more resistant than others. These ideas about how to get rid of brown patches on your lawn have been tried by many turf owners and they have been found efficient in combating one of the most debilitating lawn diseases – hopefully, you will find them useful, too.